World’s first! Three-dimensional Kanji Accessories made with Real gold plating. Take it with you as a lucky charm. It has been said that every Kanji has unique individual meanings since a long time ago. Japanese 3D technology has made it possible to create a small Kanji(less than 1cm) covered with a coating of real gold leaf. All of the pieces are hand-made. 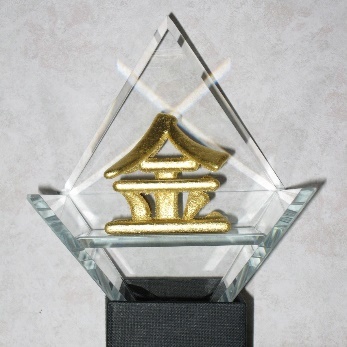 In addition to the accessories, the gold figurine is placed in a pyramidal case made by a craftsman who has been awarded a prize from the governor of Tokyo. And both the gold figurine and the pyramidal case are on sale and well known for being a good luck charm. 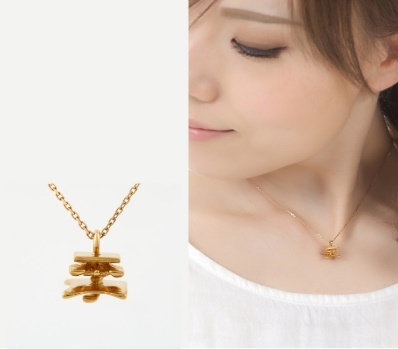 This fantastic lucky charm, which combines the meanings of Kanji, which are traditional from ancient times, and the latest Japanese 3D technology, can be your own original item. These items are made-to-order. It goes without saying that we can make the items using the English alphabet as well. 3D Kanji accessories are a combination of Japanese traditional culture and the latest technology. 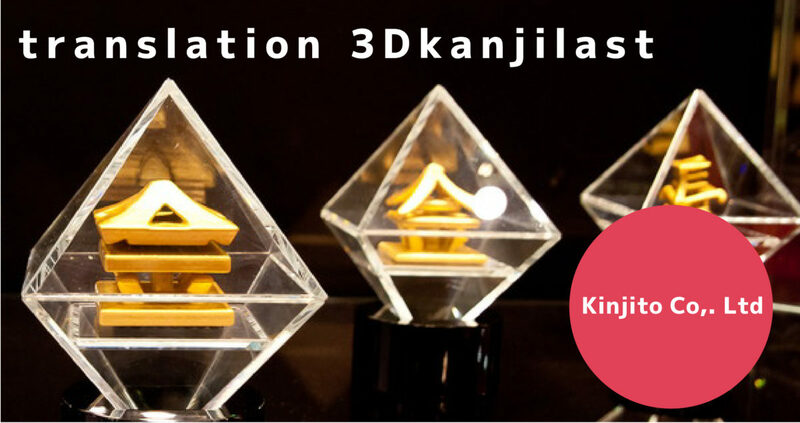 Kanji products from Kinjito Co, Ltd are the world’s first item designed with 3D Kanji developed in Japan. Firstly, the Kanji are made using the latest IT 3D printer. Additionally, it is processed delicately with Japanese special skills to make the final three-dimensional product. 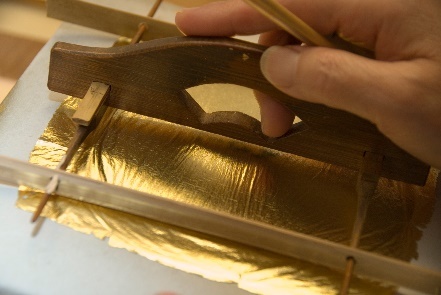 And the manufactured Kanji is covered with real gold leaf using Japanese special skill called 「Kinpaku bari(Technique for plating)」. This is a traditional skill from Kanazawa city which is commonly known as small Kyoto. Kinpaku bari (Technique for gold-plating) from Kanazawa city which controls 90% of the market share in Japan can make gold-plating at one millionth of 1mm thin. And this technique is extremely high-quality, and is applied to Japanese traditional art works such as shrines and temples, Buddha statues, and dishes, etc.. 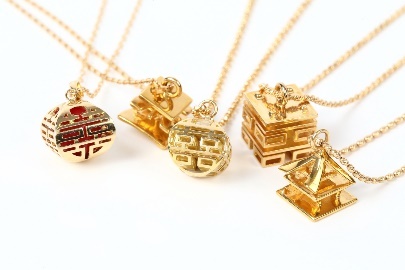 The 3D Kanji which is readable from all directions is placed in a pyramidal case and sold as a lucky charm. Even a range of error between 0.1mm~0.2mm cannot be allowed to make this case complete. Moreover, since any slight error cannot be adjusted by machines, our craftsperson’s special skill is needed in all cases in order to manufacture our accessories. These cases absolutely differ from ordinary cases made using typical adhesives such as glue. The Japanese lacquer used for the base is part of traditional Japanese culture, and is considered to be precious in modern times. Nowadays, a lot of people from overseas are interested in learning about Kanji. So in order to meet this global demand, we have ventured to make 3D Kanji that will satisfy them. Every Kanji has its own unique individual meaning. Why don’t you keep your favorite personalized Kanji made using the latest Japanese technology on your person? It goes without saying that we can also make items using the English alphabet.